The Armonia Choir in Toronto, which is celebrating 10 years of activity, is presenting its annual Christmas Concert! 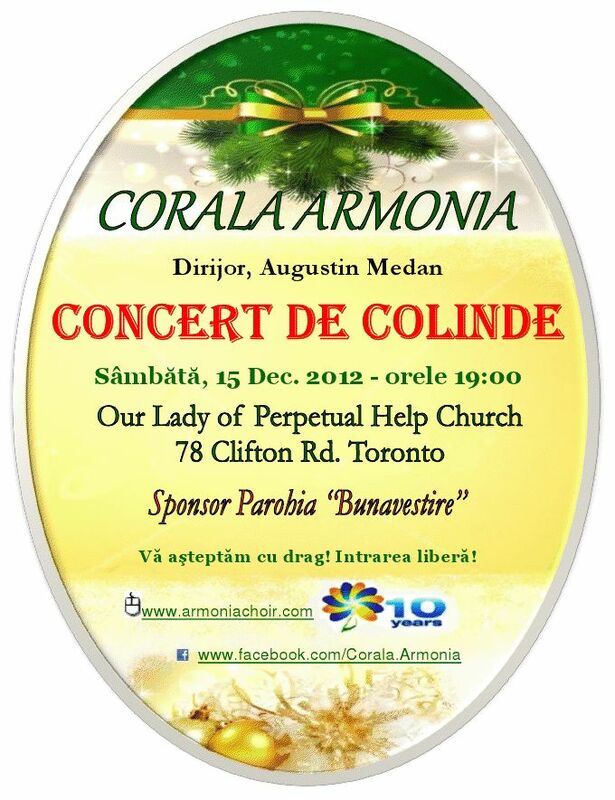 The concert will be on December 15th, 2012, starting at 7 pm, at the church of Our Lady of Perpetual Help in Toronto. The Armonia Choir is an amateur a cappella choir founded in 2002 in Toronto, Canada, under Mr. Augustin Medan’s leadership, aiming to include all talented and music loving Romanians irrespective of their age, profession, studies or beliefs.